Home / Government / Technology / Lipa City Has a Web Site! 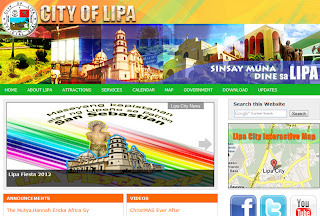 Lipa City Has a Web Site! Finally! 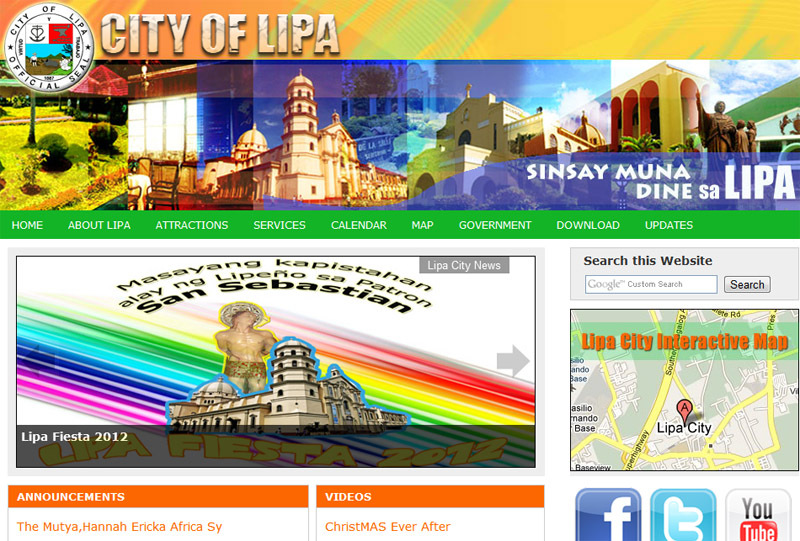 Lipa City has a government web site! I am so happy to know this. The site has apparently been online for sometime now. The fact that I did not know, and I have been a Netizen for years, is down to the fact that I simply gave up on us ever having one. I mean, in the past, if I needed information on the city, all I would ever get was this poor excuse of a web site on some freebie server where teenagers posted their cell phone pictures. There was more likelihood of getting updated information elsewhere. That we did not used to have a proper web site was particularly galling because the Internet is not exactly new; and some obscure municipalities in the middle of nowhere had theirs for years! I mean, in this day and age, what self-respecting organization does not have a web site? The design is generic enough, which is not at all a bad thing since off-the-shelf templates are widely available over the Internet and for free at that. No need to reinvent the wheel. What I love are the colours on the home page. Every web site is a marketing tool; and what better way to capture attention than with colourful graphics to convey the city as a colourful place to be. There is nothing wrong per se with the blue background; and indeed, studies have shown that visitors tend to gravitate more towards web sites which are thematically blue. I am not sure if maroon and white are still officially the city colours. If they are, then for brand or image management, perhaps one or the other may also be considered in lieu of the blue. The rotating masthead and news graphics may be a bit of an overkill. The way things are, there are too many moving objects on the home page which can be distracting. Personally, I would do away with the news graphics since they took an eternity to download, anyway – and I was on a fast connection this morning when I found the site. News is always better as text, accentuated by small graphics here and there. The rotating masthead graphics I would not touch. They are lovely and portray the city as a colourful place to be. Sinsay Muna Dine sa Lipa is not bad. On the one hand, it conveys the colourful lingo of the Batangueño. On the other hand it is not something that other Tagalogs, let alone non-Tagalogs and foreigners, will understand. 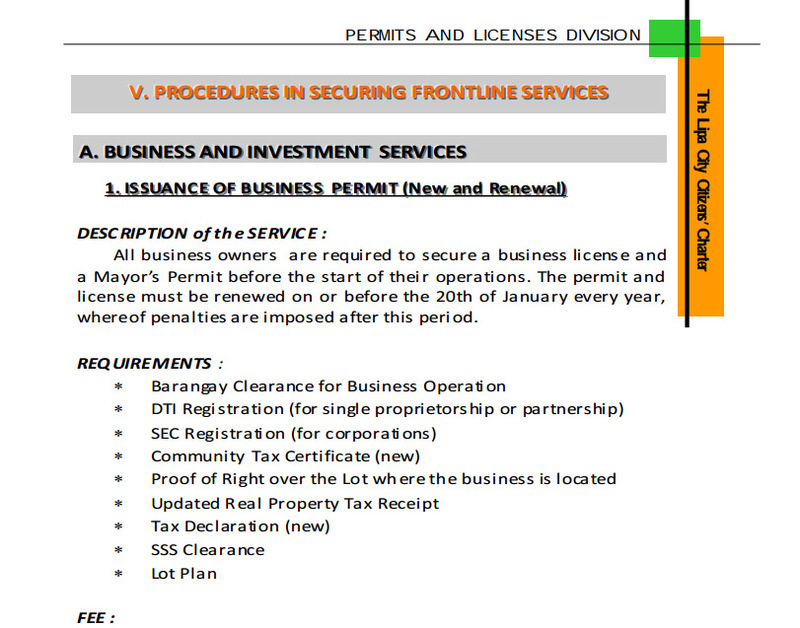 It all depends on what city government’s intentions are in putting up the web site. If the target market is fellow Batangueños, then the tag line serves its purpose. However, it ought to be kept in mind that any web site is a marketing tool which can with minimal cost reach a broader audience. If the intention is to attract non-Batangueños to the city, then you will want to talk to them in a language that they will understand. City profile and historical information are excellent; news not so. Putting up a web site is the easy part. Keeping it updated is the hard part. I can hazard a guess that somebody was tasked to maintain the site among other things that that person was already doing. However, the very nature of web sites is the speed with which information may be conveyed even while events are still going on. It is curious, thus, that the Lipa City web site’s Calendar and Events sections are blank. A web site’s purpose is defeated unless it is regularly updated with fresh content. The ‘Attractions’ section, I think, undersells the city. Churches, resorts and restaurants are a good start. However, there is so much more to Lipa than those. Landbound that Lipa is, we cannot boast of white-sanded beaches. However, to my mind, the city’s finest attractions have always been its excellent climate and its people. I have lived all my life in this city and have always loved it because of these. Also, when we used to have foreign visitors in the school where I used to work, we would take them to these little-known nooks and crannies that they always found fascinating: a home-made paper industry, a botanical nursery, an orchid garden and countless other privately-owned industries. Marketing, to a large extent, has also been all about the packaging. 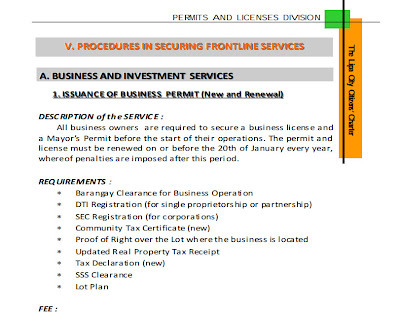 Uploading government forms and information in PDF format for download by end-users in the ‘Services’ section is an excellent idea. However, if local government really wants to be forward-thinking, then in time the Services section will have to contain links to database systems that allow citizens to interact with it. How about an online system for paying local taxes? Just a thought, anyway. The home page loaded quickly from Google. That is good. The graphics did not. That is not good. The graphics, therefore, have to be optimized. The eyes can only discern so many colours, anyway, so a reduction in graphics quality will have little effect on what the end-user sees. The effect on download time, however, will be dramatic.